In the world of photography and when shopping for a camera, let’s get real — these things can get expensive. 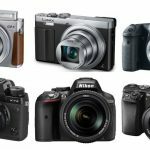 That’s why we wanted to find the best digital cameras under $100 to seek out some hidden gems in the market that doesn’t completely break our wallets in half. Not to mention the additional gear we’ll have to buy on top of this device, such as bags, tripods, software, and more. If your smart device camera isn’t working out for you, or you want a cheaper alternative with some higher quality photos and additional features to add to your collection, you’ve come to the right place. 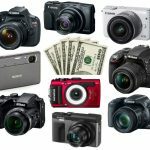 First, let’s review a few factors to think about while you decide the right camera under $100 for you. We feel your intended use will be of importance to keep in mind. Questions to think about include: Are you in need of a travel camera, something with waterproof protection, or merely a camera with some more megapixels and better zoom than your smart device? Do you need a lot of zoom (we recommend 10x and over, such as being outdoors, looking at nature, or really just personal preference just in case), or are you needing some simple family photos and selfies and can settle with only 2 to 3x zoom? 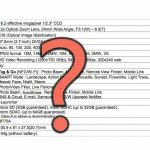 As always with digital cameras and shopping around, you may see some wordage thrown around in a marketing sense that may or may not make sense. In terms of some technical specifications, we’ll list the highlights of each one, but in case it can become jumbled with all of those abbreviations and terms, we’ll give you our preferences: At least 15 MP, an LCD screen (regardless of size, it’s always useful), built-in flashes (especially if you’re doing a multiple day trip and need to snap some shots at night), and at least 2-3x optical zoom. What about filming videos? 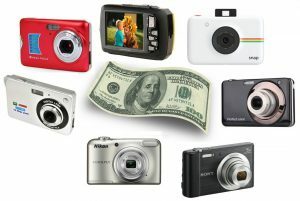 Nowadays, many cameras, especially point-and-shoot models like many listed down below have video capabilities. We’d recommend sticking with at least 720p (since a lot of these don’t go higher than that due to price). Lastly, how small would you like it to be? 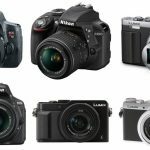 As many of these are point-and-shoots, you’re getting a more compact size than let’s say a DSLR or even mirrorless camera. Some however are smaller than others to the point of fitting in most pockets, while others may entail a smaller case and fit in a backpack front pocket. Most ultimately are ‘compact’ and ‘small’, but how small you need it to be (depending on how you’re using it) may be a deciding factor for you. Let’s kick off our best digital camera under $100 with an obvious winner. 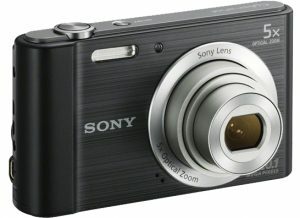 The Sony W800/S is a part of their infamous Cybershot series, and this particular model brings us a compact digital camera that is equipped with all of the necessary features for you to take crystal clear photos with 5x optical zoom. Not a professional photographer? No need to be, because the W800 allows you to take precise photographs while being portable enough to accompany you to all of your fun events (even fits in some pockets). Simplistic and accessible, this camera comes with a vivid 2.7-type Clear Photo LCD display screen, 5 cm macro focus distance, advanced flash, 26 mm wide-angle lens, and a 20.1 MP sensor (Super HAD CCD). It’s also equipped with a nifty automatic built-in ‘Party Mode’ allows the camera to take over for you as it automatically adjusts your settings to create the ideal photograph that you desire in case you don’t like tweaking a bunch of settings. Lastly, it even shoots HD videos, albeit in 720p, to make us wonder what it really lacks. Aside from perhaps the missing 1080p and slightly low zoom (5x is pretty high in this price-range, just keep in mind), there aren’t many cons with this one. The Sony W800/S is offered in both silver and black for a crisp sleek look that will make a statement when it’s ready to be used. For under $100, this is our number one pick — grab it and don’t look back. The Kodak PIXPRO FZ43 is another near-victor in this guide, and this one brings an instinctive approach to digital photography. 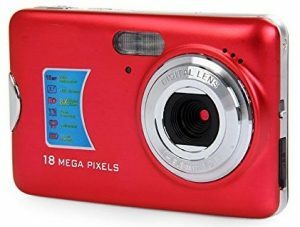 Simplistic in its design, this easy to use 16.15-megapixel resolution camera is jam-packed with so many great features it makes its cheap price seem like a bargain. Featuring auto, standard, and panorama effects, this is a versatile camera that is certainly one of the best under $100 out there. One touch video (again, 720p HD), face detection as well as red-eye removal makes the PIXPRO FZ43 appear to be just as high-tech as more expensive alternatives. The ideal travel companion, this is great for inexperienced photographers simply trying to capture all of their favorite holiday moments and an enhanced lens that has 4x optical and 6x digital zoom capabilities allows the user to take high-quality photographs no matter the distance. 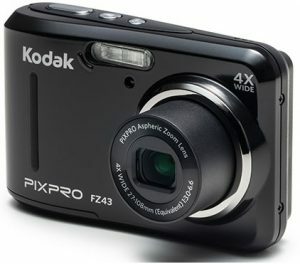 Let the PIXPRO FZ43 be your one stop shop as this is a can’t beat digital camera and comes with all of the high-tech features that allow it to be considered one of the best. 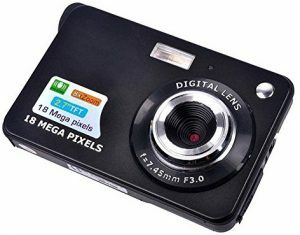 The Fitiger 2.7 Inch 18MP TFT is a great cheaper alternative when it comes to digital photography and one of the best digital cameras under $100. 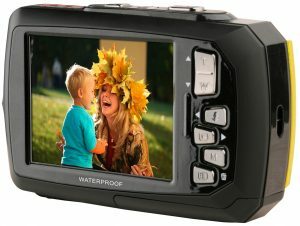 Although a brand that many know nothing about, this particular model is equipped with anti-shake features as well as face detection, smile capture, built-in flash and image resolution which enables the user to take a high-quality photograph without worrying about going back and editing it afterwards. If you are a casual photo taker this is a great choice for you as its small size and light weight will make it easy to carry around while still being capable of taking great shots. Simply plug your camera into your computer and instantly download high quality images for you to be able to share with family and friends. When it comes to great deals, the Fitiger makes it hard to complain as it can be used in just about every setting you can think of, especially at such a low price, even in our specific budget-range today. Conveniently compact and incredibly light weight, this is a great choice for those of you not looking to put too much effort into your photographic experiences. Equipped with 5X optical zoom as well as 4X digital zoom, the KINGEAR KG007 hands down one of the best under $100 cameras around. Use this camera in the morning, afternoon, or evening as it comes with just about every single photographic mode you can think of. The 2.7 inch TFT LCD enables the user to have a great source for detecting flaws in their image. 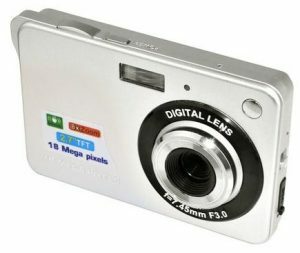 This is a digital camera that comes with SD storage of up to 32 GB as well as a high quality built-in microphone for recording videos. There is not much to complain about, as this is a cheaper digital camera alternative that still allows you to take a high-quality photo, and is PC and laptop compatible. 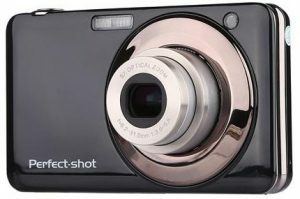 Don’t think too hard, as this is one of the best choices if you’re looking for a high quality digital camera under $100. The Polaroid Snap is a bit different from others and makes photo taking that much easier, brought to you in a flashy design as well as containing various high-tech features, this is a camera that simply creates enchanting images. 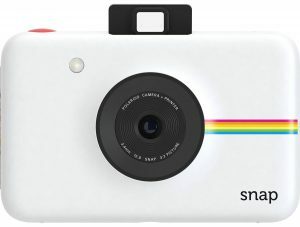 Just like the old-school Polaroid cameras, the snap allows you to instantaneously point, shoot, print, and share your photograph to anybody you desire. In terms of specs, it’s equipped with 10 megapixels. Convenient in size, this is a versatile digital camera that includes 3 picture modes such as your standard photo, black and white and vintage sepia tone alternatives. Unlike many others, this digital camera comes with a self-timer option allowing you to take the perfect group photo. Let’s face it, the Polaroid Snap makes taking pictures fun again, and it comes to you at a great price. It is the newest (yet oldest at the same time) and most fun way to document your memories, and it is one of the best cameras under $100. 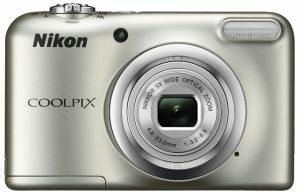 The Nikon COOLPIX A10 is a new and improved digital camera that offers the inexperienced photo taker an opportunity to seize their moments at a higher quality without needing too much skill. The cameras smart portrait feature allows you to edit your portrait so nobody feels like they appear at an unflattering angle. Simplistic in its design and easily obtainable, the A10 uses its 16.1 megapixel close-ups and zoom features to record an entire 720p HD video for everybody to enjoy. There is more to a digital camera than simply taking a few pictures on your vacation, and the Nikon COOLPIX A10’s features show you why. Stunning point and shoot features such as the NIKKOR glass lenses allows you to capture a beautiful memory for friends and family to look back and enjoy. Take the work out of photo taking by allowing the cameras electronic vibration deduction reduce blurry specs for you. Simply place two AA batteries inside and this bad boy is ready to go — no need to charge. Designed to deliver highly detailed pictures, the Coleman 2V9WP is simply one of the best when it comes to clarity and durability. If the waterproof features aren’t telling enough, let the images it produces do the talking for you, as this is without a doubt one of the best under $100 digital cameras being sold today. The cameras dual screen allows you to take control of your images and create ideal photography. Exceptionally accessible, this camera is the perfect traveling camera, making the 2V9WP a great choice for vacationing and the like. The shock resistant capabilities allow you to disregard any worries of damaging your camera during clumsy moments. Coleman has created a camera that is perfect for your selfie fanatics, you know who you are! The camera’s self-timer feature allows the user to take the perfect selfie, regardless of the awkward angle. Coleman makes life easy for you, so don’t stress yourself out when making this decision. A highly functioning digital camera and yet another one of the best cameras under $100, the GordVE KG15173 allows you to take high-quality photographs while not breaking the bank. Anti-shake features take away fears of durability in the event you accidentally let it drop to the ground. Similar to most simplistic digital cameras, the KG15173 comes with smile capture and face detection features, allowing you to capture your perfect moment. Easy to share, the Pho Tags Express software it comes with is great for printing and sending your photos via social media or even email. A great present and cost-effective, the KG15173 totally gets the job done especially with a size that can fit in most jean pockets or a simple pouch in your bag. In the event that you need to capture your image in the evenings, this digital camera comes equipped with built-in flash as well as low-end lenses for better lighting and better shooting effects. It’s another less known brand but when we’re talking about under $100 models, we wouldn’t let a name steer you too much in one direction if a camera is fully capable like this one. Designed to meet the needs of the inexperienced photographer, the PowMax PLDH114 offers a simplistic way to take high-quality photographs. Travel without stress of documenting your fun-filled vacation, and let this camera enhance your experience by utilizing its 18MP 2.7inch TFT LCD 8x digital zoom — one of the highest zooms in here. For the selfie lovers, the cameras self-timer allows you to avoid asking people to take a quick snap for you. 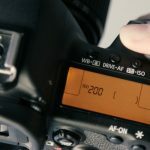 This is a great cost-effective camera and easy to navigate for those of you who aren’t as well versed when it comes to digital cameras. The PLDH114 takes the confusion out of photography, as it not only takes great photographs but it can also be used for film as well. Anti-shake features allow you to drop it without worrying about too much damage. Long story short, this is a great choice when it comes to low-cost digital cameras on the market. It has a lot of the same features as the other cameras in here, but the zoom make catch your eye. 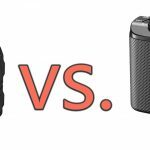 DSLR vs. Mirrorless Cameras — What’s the Difference?